Fits four 3.5x5 photos and includes graduation cap medallion in center. 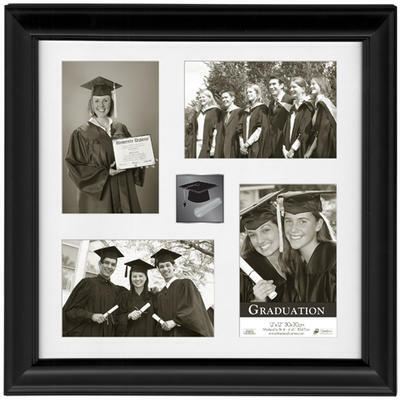 With its silky black color and stately sophistication reminiscent of a graduation cap and gown, Addison is the perfect frame for celebrating this special day and the achievement it represents. The strong lines and classic look of this frame make a bold and attractive addition to any décor.